Umenoki Home is an independent living arrangement for the elderly. Our Japanese-speaking staff delivers 24-hour personalized care for a wide variety of needs - from short-term respite to long-term and hospice care - in a secure home-like setting. Care givers are available 24 hours a day, 7 days a week. Care is tailored for an individual's needs to maintain a focus on the safety and comfort of each resident. The staff is sensitive to the challenges that occur with age, and report changes in a resident's overall health and condition. Special dietary accommodations, e.g. diabetes, high blood pressure, etc. Church services, festivals, weekly bingo and senior activities such as luncheons, exercise classes, and crafts are offered next door at the Southern Alameda County Buddhist Church. At Umenoki Home, the residents' families stay right in the center of their management to make it a better place for their loved ones. Families are never left out and are constantly updated on Umenoki Home, its residents and staff. We encourage families to host parties and celebrations at Umenoki Home and to decorate the common areas for the occasion. And we offer indoor and outdoor areas for you to share tea or meals with your loved ones. Umenoki Home is hosting student volunteers and training interns from Japan. They enliven the atmosphere with their youthful enthusiasm and good cheer and provide much-needed inter-personal interaction with the residents. The student-interns live in the dormitory next to the home and help the residents day and night. 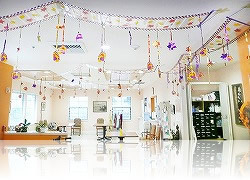 As an independent living arrangement for the elderly, Umenoki Home is exempt from the state's Community Care Licensing regulations, which means that it is not a facility. It is the private residence of each tenant. Therefore, under the Alameda County Social Welfare Program, residents may receive IHSS (In-Home Supportive Services) from the County that are only available to those who live in his/her own home. 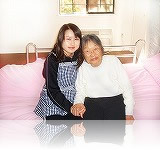 Residents and/or their guardians become household employers of the Umenoki care providers. Thus, each guardian is responsible for the supervision and provision of care for their respective resident. Each family makes appropriate decisions regarding the course of care including when medical intervention is necessary and when to transfer a resident to another facility when they feel that it is time for more comprehensive care. (In-Home Supportive Service) “The IHSS Program may help pay for services provided to you so that you can remain safely in your own home. To be eligible, you must be over 65 years of age, or disabled, or blind. Because Umenoki Home is considered a private residence, you may be able to receive IHSS from the Alameda County Social Welfare Program. For more information on Umenoki Home or to schedule a tour, please click here.